Need a midday pick-me-up? Kick that coffee aside and shake up an Aminovex™! So what is Aminovex™? 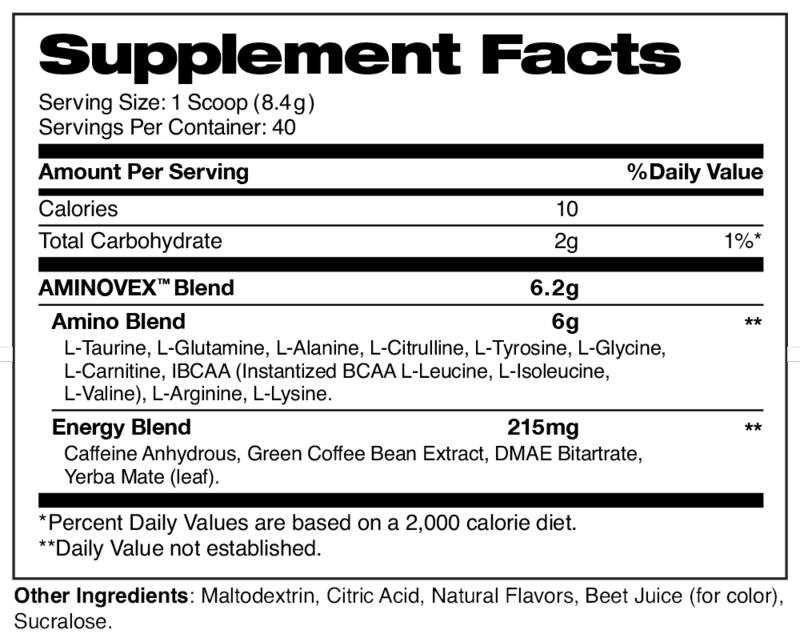 Aminovex™ is a Free Form Amino Acid Complex combined with Caffeine, Green Coffee Bean Extract, DMAE and Yerba Mate designed to deliver the energy levels you desire!